The delicate yellow oil extracted from almonds contains vitamins E and D as well as other beneficial vitamins and minerals, which help to strengthen and moisturize your hair from root to tip creating a lush and lustrous look. Sweet almond oil is considered as one of the oils which can help prevent hair loss because of its emollient or softening action. It is rich in vitamin D and E and also minerals like magnesium, calcium. Acting like a natural moisturiser, it prevents your hair from going brittle. It also provides nutrition your hair can feed on and stay healthy, stick and strong. Olive oil has long been used as an effective way to promote hair health. Rich in antioxidants, as well as vitamins A and E, it safeguards the natural keratin in hair helping to “lock in” moisture and replenish the natural organic balance of your hair. Along with many other benefits of olive oil, it can also help in hair growth, preventing hair loss, keeping the scalp healthy, eliminating dandruff and regaining lost hair. Olive oil contains vitamin A and E which are very important for hair to strengthen its strands. Using olive oil on the scalp feeds the hair with these vitamins and stimulates the hair follicles. Sufficient blood to the scalp ensures healthy growth of hair. If the follicles are clogged up, they may not receive sufficient supply of vitamins and other nutrients which may result in loss of hair, dandruff and dryness. 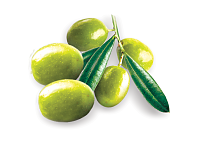 A light massage of the scalp with olive oil may stimulate and recondition the scalp. This will increase blood supply to the scalp and essential nutrients to hair. A regular application of henna helps in making the hair stronger. Henna being a good nourishing conditioner makes hair look smooth and beautiful. A regular and direct application of henna helps keep dandruff and itchiness at bay. Henna is a natural herbal powder which is mostly used for colouring hair. But it also helps prevent dandruff and nourishes your scalp and hair by making it smooth and healthy. Henna acts as a good conditioner for your hair and helps it grow faster. Coconut is nutritious for all hair types and is unique in reducing protein loss in both damaged and undamaged hair. In addition to this, it can also stimulate hair growth by permeating way down into the follicles, as well as keeping hair in great shape by penetrating deep into the shaft to strengthen and thicken it. Coconut oil has been in use as hair oil for thousands of years, and it has shown remarkable results. Certain components in it keep the hair strong, nourished and protected from the effects of premature aging, like baldness and excessive hair loss. The reason behind the popularity of the usage of castor oil for treating hair problems lies in the presence of ricinoleic acid in the oil, which is germicidal, insecticidal, and fungicidal. So, using the oil will keep the hair from microbial and fungal infections, thus, reducing hair loss. Regular treatment of the scalp and roots with the oil helps prevent drying of the hair, and within months, hair growth is an obvious result. This is achieved by the Omega-9 fatty acids in the oil. To keep the hair looking soft and shiny, moisture has to be retained by the hair. This can be taken care of by castor oil, as it is a humectant, meaning, it has the ability to lock hair moisture which helps in improving the texture and shine of your hair. The high omega fatty acid content in cactus oil has been found to have many benefits in terms of hair loss prevention and the encouragement of hair growth. Because of the low moisture environments in which cacti thrive the oil has a high concentration of vitamin B5 which allows the plant to store water for incredibly long periods of time. This property means that it is a naturally effective moisturizer offering lasting protection to weak, falling hair. For thousands of years, it is known to mankind that garlic has excellent medicinal qualities. It is considered as one of the oldest known herb. It has several health benefits. It possesses powerful antibiotic properties and antifungal properties which can kill the harmful virus, bacteria, and fungi found in our body. It makes the immune system stronger and enables us to fight several infections. When garlic oil is applied on hair, it can control hair loss and improves the overall hair texture. Garlic is a rich source of sulfur which happens to be a vital component of many different types of proteins including keratin. Due to the presence of keratin protein, the hair does not turn brittle. In other words, keratin makes the hair stronger. Sulfur is also good for improving the skin condition of the scalp. Lemons have astringent qualities, which means they can tighten your skin and your pores. When the pores on your scalp shrink, there isn't as much space for oil to seep out and get into your hair. If you have oily hair, a lemon rinse is your new best friend. When lemons aren't making your scalp a less greasy place, they're using their alpha hydroxy acids to exfoliate dead cells, which is code for no more dandruff. Of course, if you're after those natural highlights, this lemon rinse is for you too, thanks to its natural bleaching qualities. A fruit that is best known for its high vitamin C levels, the Indian gooseberry is great for hair, adding lustre and softness and doing away with dryness of the scalp. It is also a rich source of essential fatty acids that serve to keep the hair follicles strong and nourish the hair from the roots. Sourced from the Indian gooseberry (Emblica officinalis, a tree native to India), amla oil has long been used in ayurvedic medicine. Featuring a number of essential fatty acids, amla oil is thought to strengthen the hair follicles and condition the hair. Proponents also claim that amla oil can help treat dry, itchy scalp. This oil is regarded as an effective hair tonic. Massaging this oil on the scalp helps stimulate blood circulation. The improved blood flow increases the supply of the nutrients to the scalp, thereby nourishing the hair follicles. The improved blood flow not only imparts shine but also strengthens the hair. Though scientific evidence is not available on the effectiveness of this oil in treating alopecia or hair loss, it is believed that massaging the scalp with this oil may lower the risk of premature baldness. Since this oil has a watery consistency, it doesn't clog the pores in the scalp. Due to its properties, it is used in herbal shampoos as well as hair conditioners. 70% of your hair consists of the fibrous protein keratin. Whenever it becomes damaged, this substance can often be repaired by applying egg protein which fills in weakened spots along the hair strand and adds renewed strength and suppleness to it. Honey is classified as a humectant and emollient - a natural moisturizer and softer - because of its ability to attract and retain water molecules. Widely regarded as “The Seed of Blessings”, the black seed herb has been recognized in the Middle East and Asia for centuries as an effective healing agent. It contains amino acids, fatty acids, minerals and carbohydrates which strengthen individual strands keeping hair healthy, smooth and full of vigour.